In recent years, consumer debt has reached its highest level in history. Americans alone are carrying over $3 trillion in debt! (creditcards.com) So how are all of these people living day-to-day with so much debt? The credit cards, student loans, and car loans just keep piling up. The Secret to get out of this vicious cycle is to approach debt with a biblical perspective. 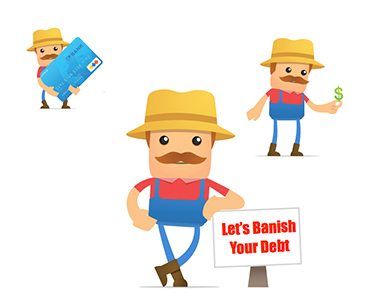 The fact is Debt is not an impossible mountain to climb, or a hole you will never dig yourself out of ... you CAN banish your debt. There is hope on the other end, and God actually desires for you to be free from debt. As we see all throughout scripture, God’s way is better than ours! Until our neg guide comes to Amazon ... visit our Faithful with Finances Blog for tips and articles to save money, maximize your financial resources, and practice financial stewardship.